Dawn.com will host Aisam-ul-Haq Qureshi on Tuesday, September 21, for a live blogging session with its readers. You can send in your questions or comments for the tennis star as he returns to the Dawn Blog after a record-breaking run at the US Open. Questions can be sent via the comments section of this forum or you can log on to Dawn.com for a live chat with Aisam on September 21 at 5.30pm PST. I would strongly recommend Aisam to focus on his game and stay away from current political trap. Follow the great example of Sir Jahangir Khan. your speach at final of doubles really reflect that u r true muslim and patriotic pakistani. win people heart in there home land ,Great Job. It’s already 5:30; where can I join in the live chat? Aisam what you done for Pakistan shows that how much beloved Pakistan is to our youth and above all it shows are much humanity and peace is important to Pakistani youth. you make us proud. love you bro! i’m a regular reader of your blog on Dawn and you were my hero when i started watching Pakistani tennis matches three years ago. i wanted to be a tennis player and wanted to represent Pakistan but i think you make my dream come true (may be one day i can also in field of tennis or Physics). how long you have planned to play in future? are you going to coach in future? (i love to be you student) if yes plz tell you fee so i can arrange it before hand. i’m really happy because of two reason 1 My sister got full scholarship of engineering university and 2 that one of my favourit tennis player would least read my comment (or may be answer them too). Allah bless you. May He keep you happy always and patriot too. Just want to say WE ARE ALL PROUD OF You Brother… Looking forward to the days when we will see you win all the grand-slams… Hey whats your official facebook or twitter to follow what you are doing ??? Hats Off To You Aisam!! We all are very proud of you!! I believe that tennis is a wealthy sport. To get an access to tennis courts, either you have to belong to an affluent family which can easily afford expensive club membership or you got to be a child of a marker. Unfortunately if you dont have either of the options available to you, you simply let go your talent. People like us who have the privilege to afford luxuries of life take such things forgranted but i strongly feel that non availaibilty and lack of support are key factors behind not having many international level Tennis stars today. Here comes my question… What is your stance on my statement Aisam and in your opinion what should government do to support kids who have the talent but lack financial resources to pursue tennis as a career. All the best for your future. Make your family and the nation proud of yourself!! Awsome Aisam!! You’re finally getting there. The cup isn’t far away. Keep it up but don’t let it go to your head. Hey man, that was an electric finale. Well played, you showed a lot of class- on and off the field. Good stuff. You have made all Pakistan proud. We are indeed thankful of you. Keep Up the good work and ALLAH bless you. I congratualte you on this great success.You have done what can be only imagined in my country.Be sure ,you can do a lot.I am waiting for your further victories.It was the first time in my life when I had tears from my eyes on the success of any national player.You are not onyl a great player but a caring human being as well.May god bless you!If possible ,please send me your favourite picture.it would be pleasure to capture your in my memories in a better way. Well done for doing so well! You have been consistent, InshAllah you’ll win next time round, you’re in the right direction. I hope you can encourage more people in Pakistan to play tennis on a international level. The US Open speech was phenomenal! You made the most influential statement ever. I’m glad you addressed the truth at the right platform. Thanks. Good luck with your upcoming matches! You made us proud! Hope to see you in the finals for many grand slams! Well done man and keep it up. I know how tough it is to compete in this highly competitive game especially when you belong to a country where there are no such facilities and motivation to produce world class players. High Five for you. May Allah bless you with lot of successes in all aspects of life. your speech really touched hearts because one could feel it came from heart. Nice to hear you speak like a normal young man without sounding bigheaded. Wish you all the best from Germany and hope tennis can bring people together. I used to watch tennis when Boris Becker used to play. Now, you gave me a new reason. Hope you and Bopana go all the way to the zenith. 1. Do you receive any support/sponsorship from the government or private sector in Pakistan for your training and participation in various tournaments or you are managing it all on your own? 2. Who is your coach, manager etc.? Many many congratulations to you on such a great achievement in history of Pakistan. Dear brother this is the time when you are in very strong position to do something for the future of tennis in Pakistan. You, through public and media support can force the government to take some major steps regarding development of this game and bring it, up to the international standard . So please just do it and become immortal in our hearts and history. You are a trend setter for tennis in pakistan, and i started to watch tennis after i saw you in grand slam. before that, i was least interested in tennis!! So all the credit goes to you for making tennis so popular in Pakistan! My question is that if any pakistani player emerge in tennis with similar skills as yours, will you prefer him or Rohan Bopanna as your partner in men doubles? Excellent work Aisam! It does not matter weather you won or lost but certainly the entire nation is proud of YOU. Congratulations Aisam, you made us proud! Best of luck for the future, our support and prayers will always be with you! Congratulations on your performance in US opens. Other countries people has a bad impression of Pakistanis. Reason is clear. Our cricketers are making this impression strong by match fixing etc. That is why I am not interested that player is classic or handsome or great player. I am only interested that how he represents his country. So I only have a request to you that always represent your country with your behaviors in a way that people feel that impression about our country that they hold is wrong. We also try but responsibily on you is more because you have international exposure. you were the only good news at the time when the country was facing floods, cricket scadals, political distability. We friends always used to say that whether any Pakistani would be able to make it even to the first round of any Grand Slam and this question was always followed by laughter. 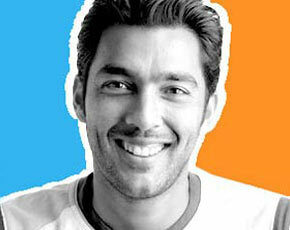 You Aisam made proved us wrong and reached up to the finals of a Grand Slam. Gr8 going. May Allah give u many more successes in future.